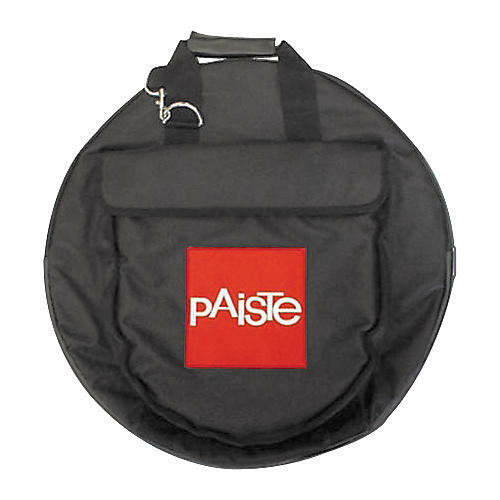 Paiste 24" Cymbal Bag 24 in. Holds and protects your cymbals! This durable cymbal bag features backpack-style shoulder straps as well as a single shoulder strap for comfortable carrying however it works for you. Vinyl internal dividers separate cymbals to minimize metal-to-metal contact. The rounded front pouch holds cymbals up to 16" or other percussion accessories. Backpack case fits cymbals up to 24". Carry your cymbals on your back while carrying your drums with your hands. Order today.